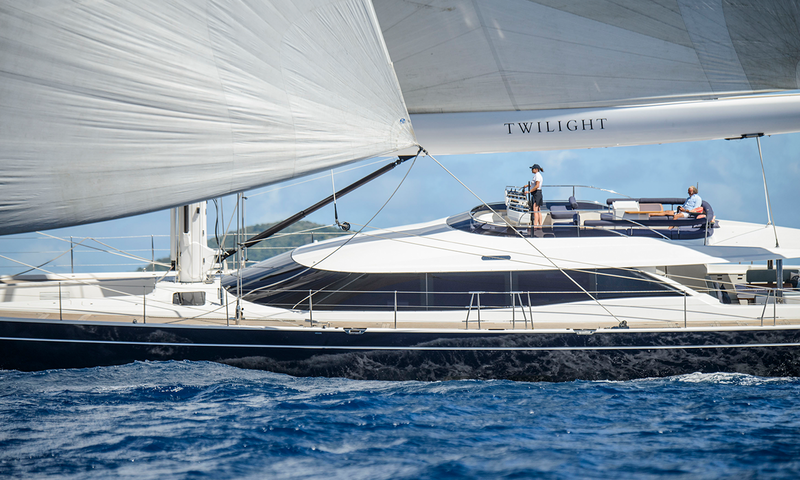 The beautiful TWILIGHT superyacht is an Oyster 125 vessel, built by the well known Turkish shipyard, RMK Marine in 2013. 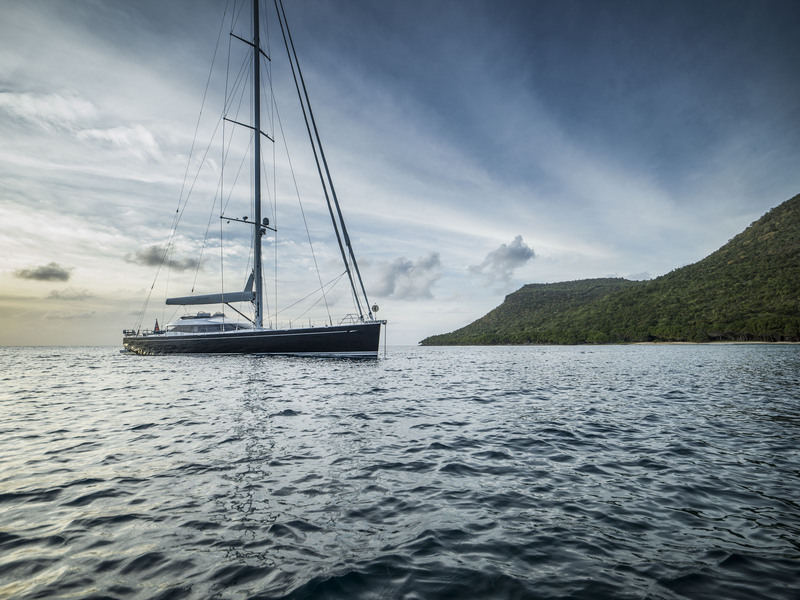 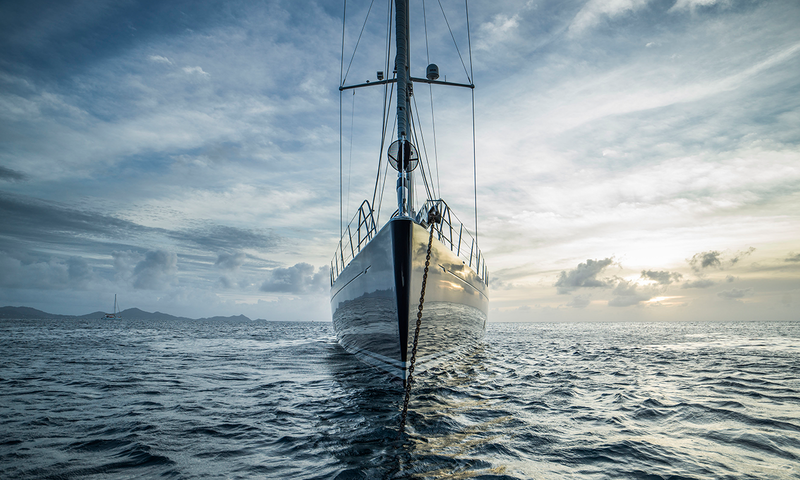 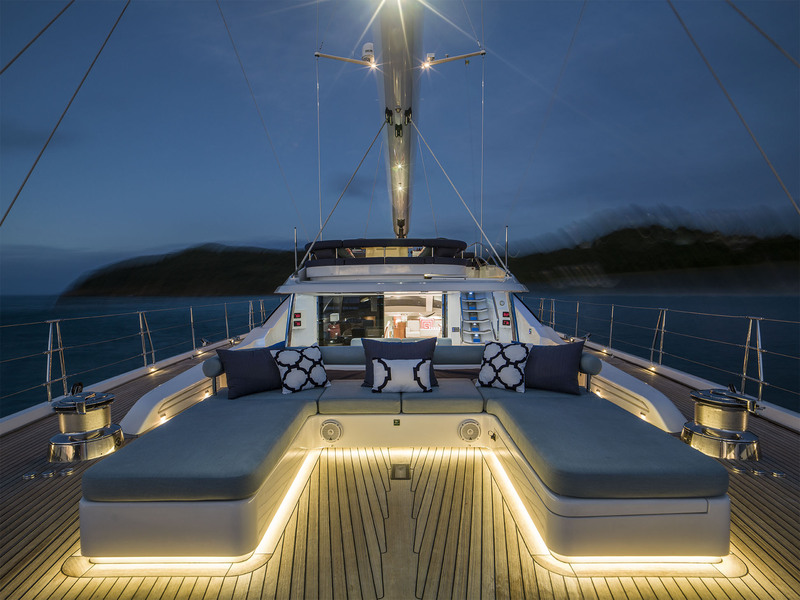 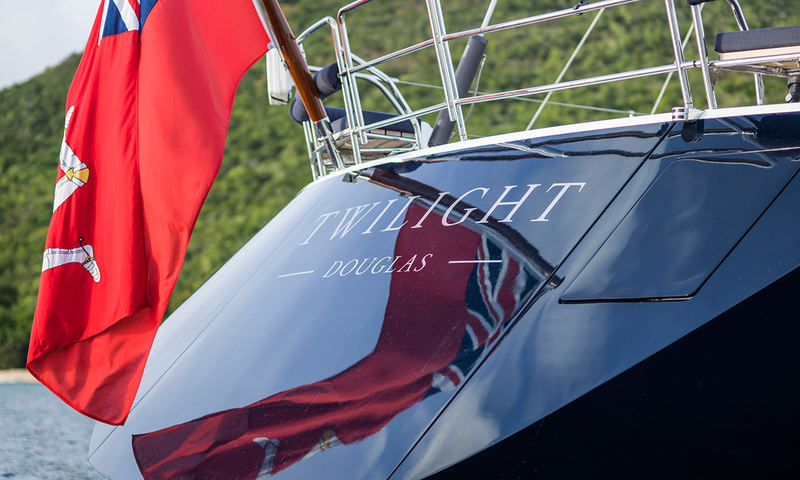 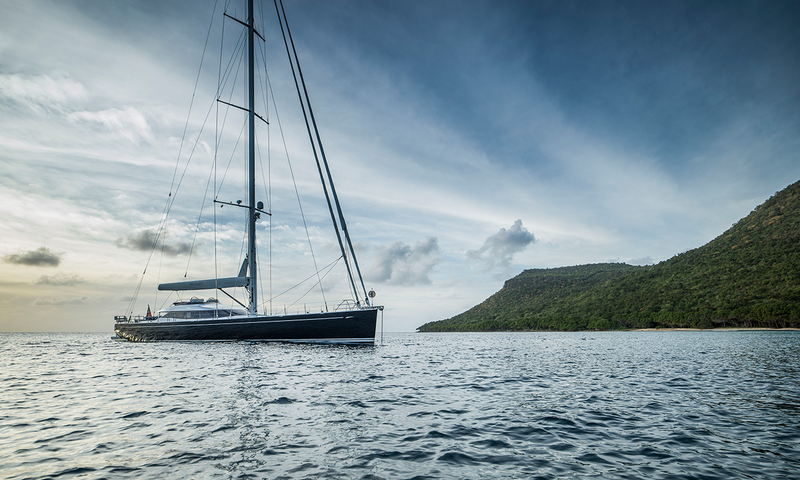 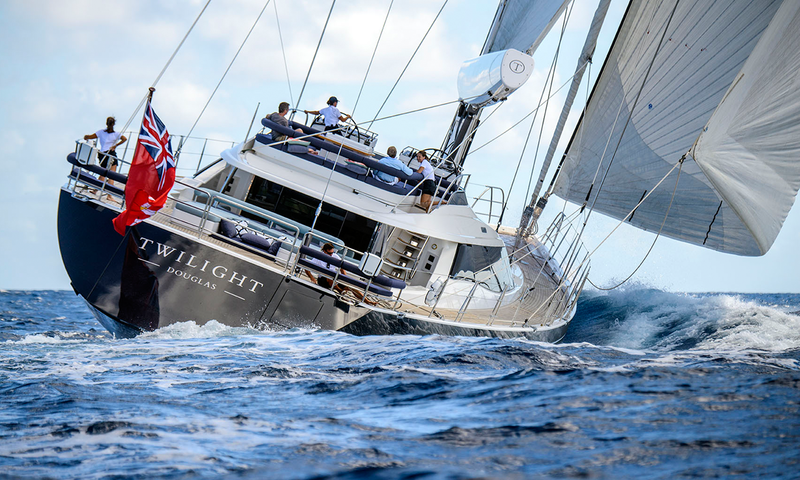 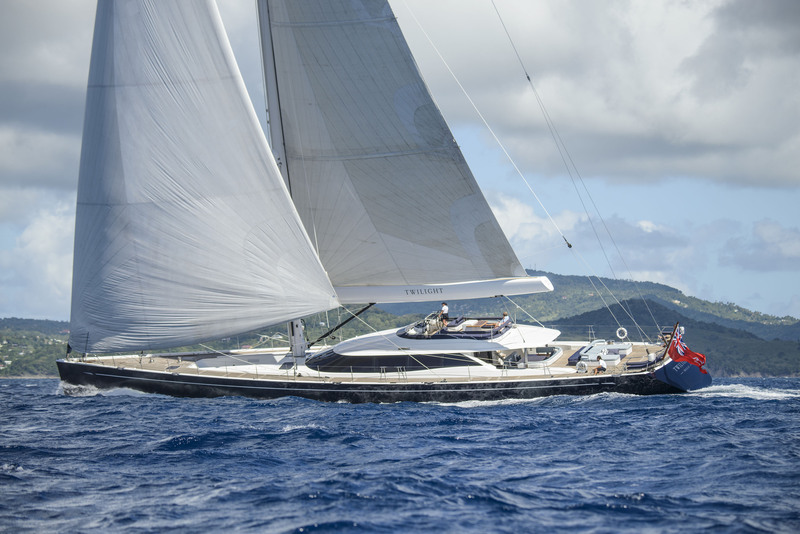 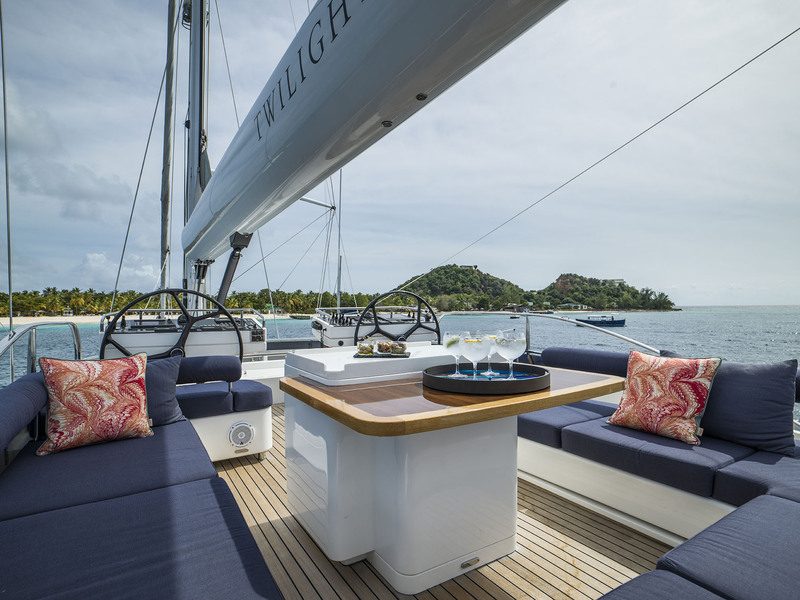 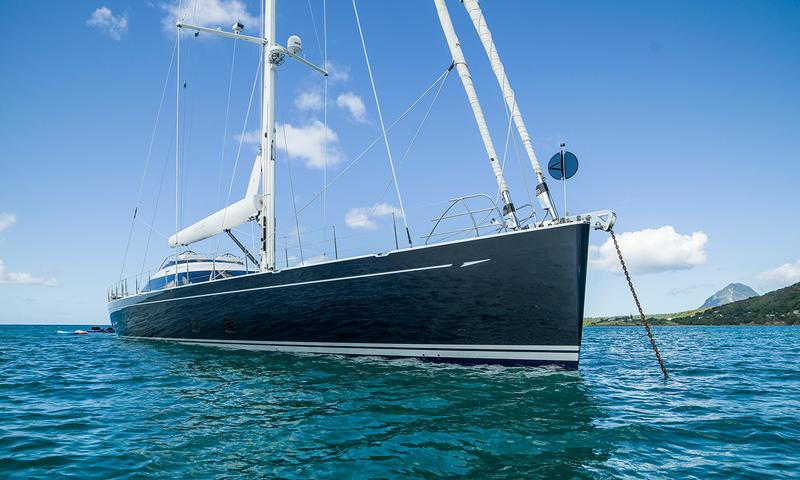 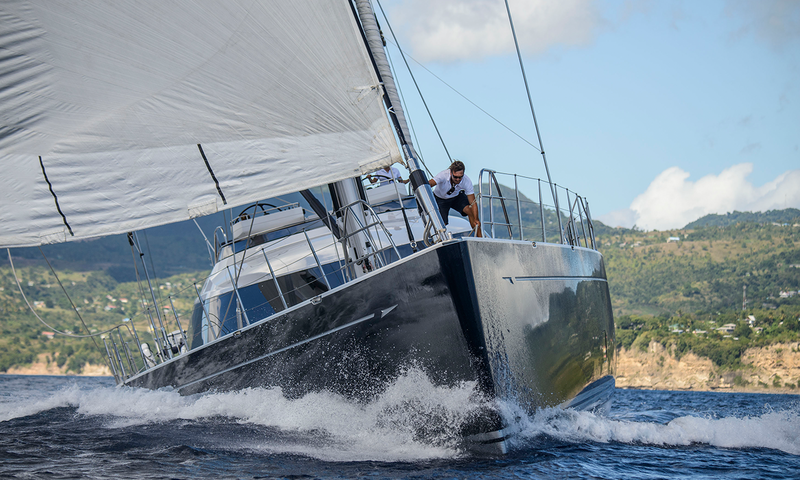 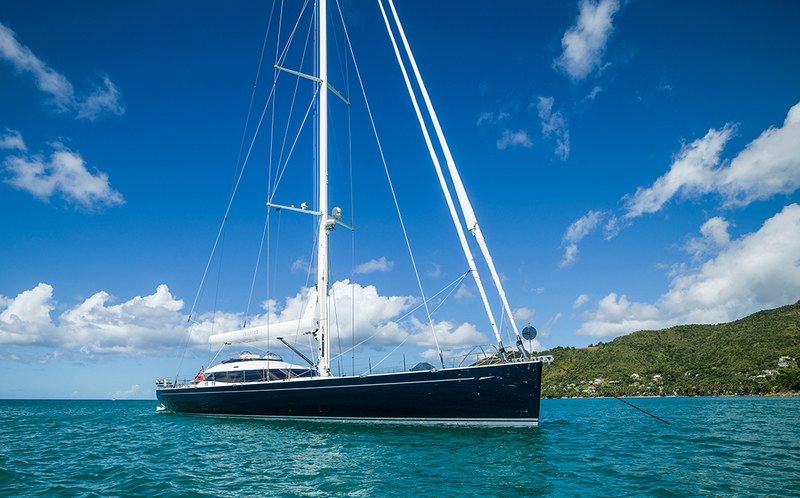 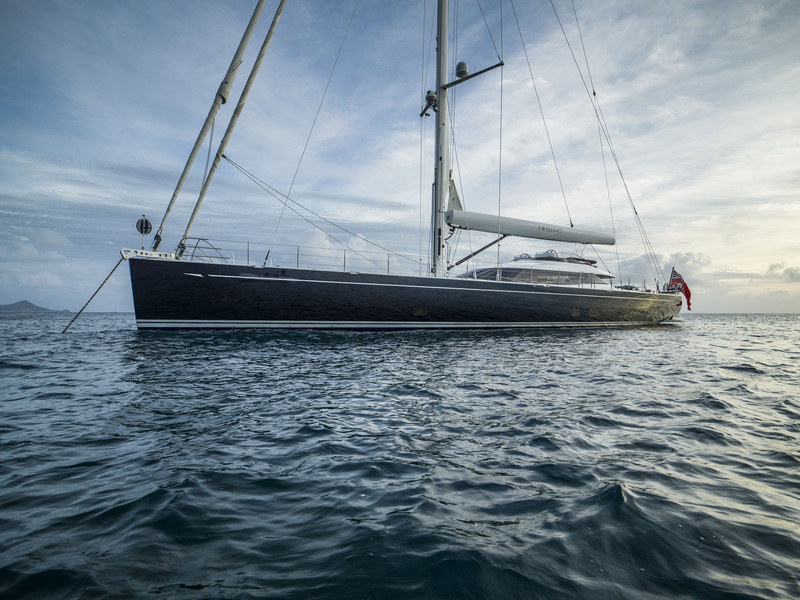 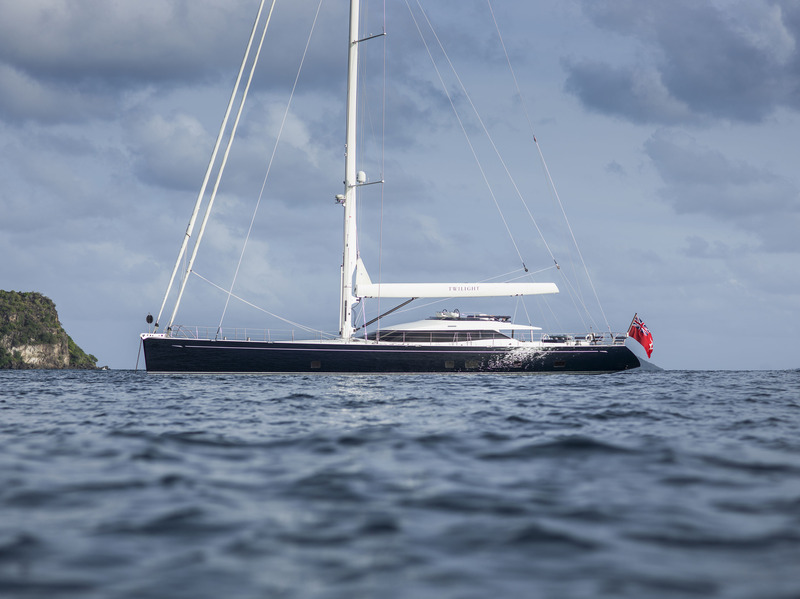 Designed by renowned Dubois Naval Architects, the 38-metre sailing yacht TWILIGHT boasts lovely interior design by Rhoades Young. 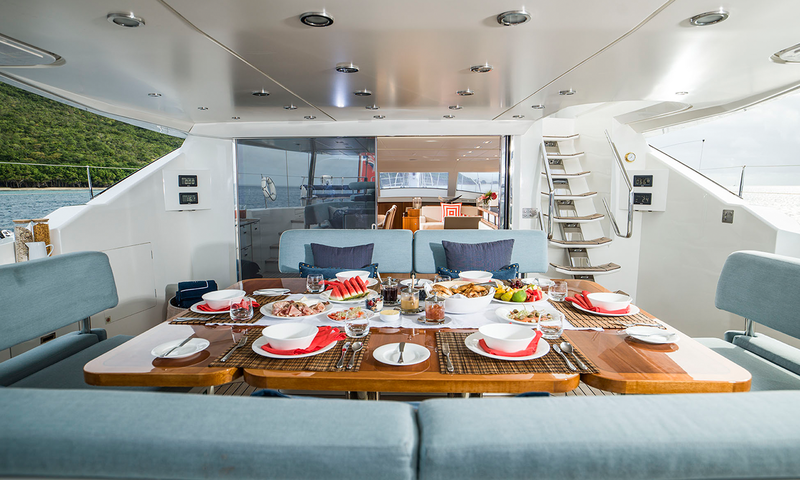 She can accommodate eight guests in four beautiful cabins. 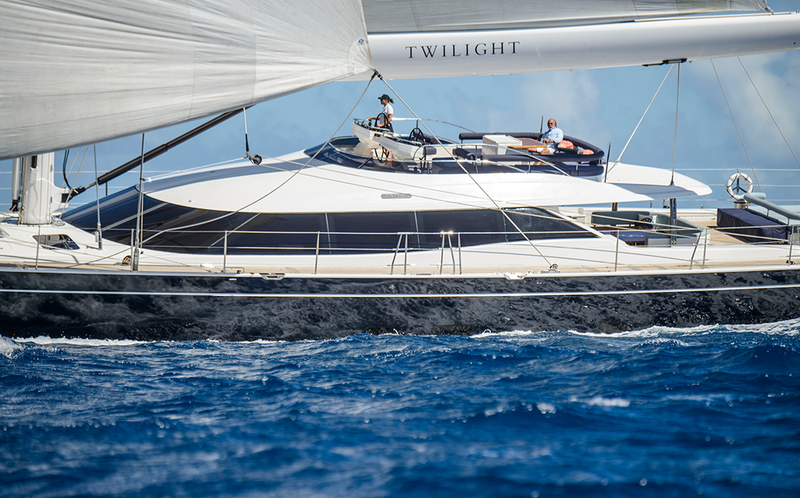 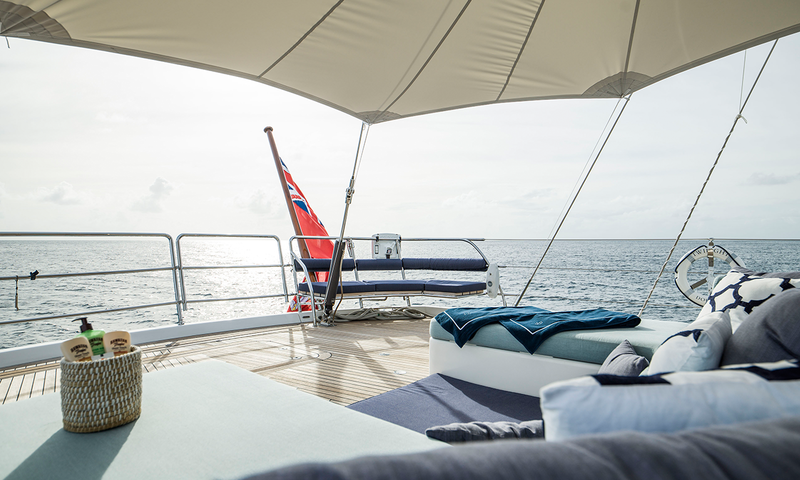 On deck, the sleek deck saloon superstructure of TWILIGHT allows an uninterrupted view to the bow from the twin helm positions, which are safely located well aft of the very large and comfortable leisure cockpit, and which is protected by a fixed bimini over its entire length. 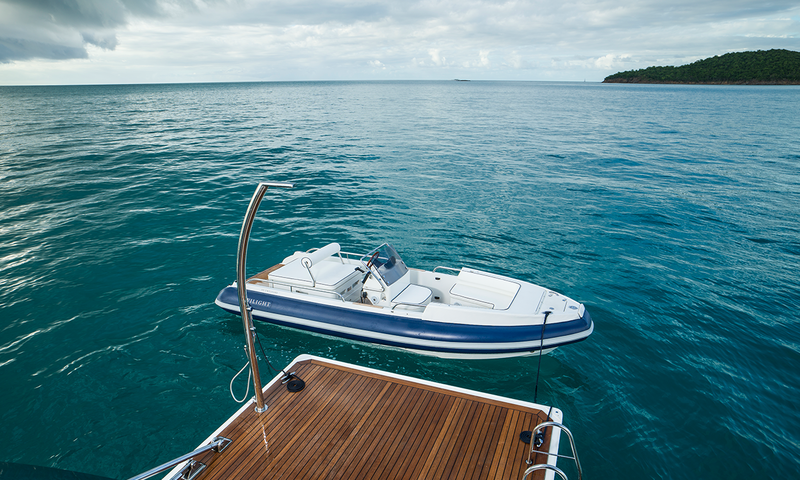 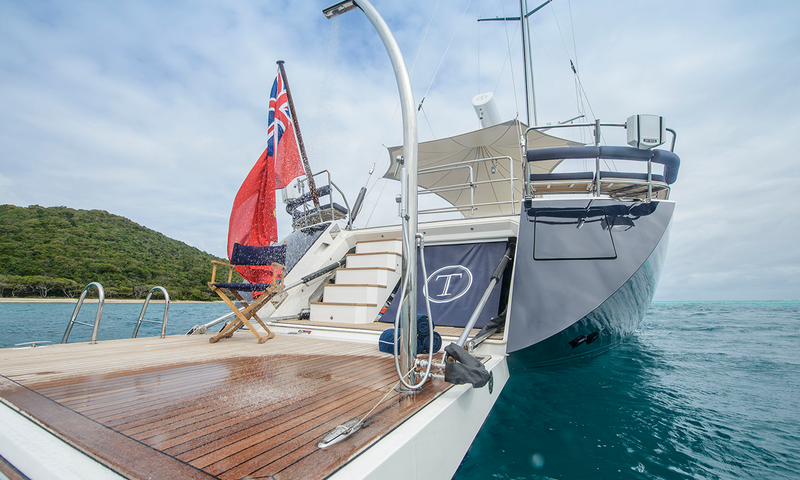 Aft of the helms on the yacht is a private access to the owners’ suite and a spacious aft deck leads down to a generous bathing platform and dinghy dock. 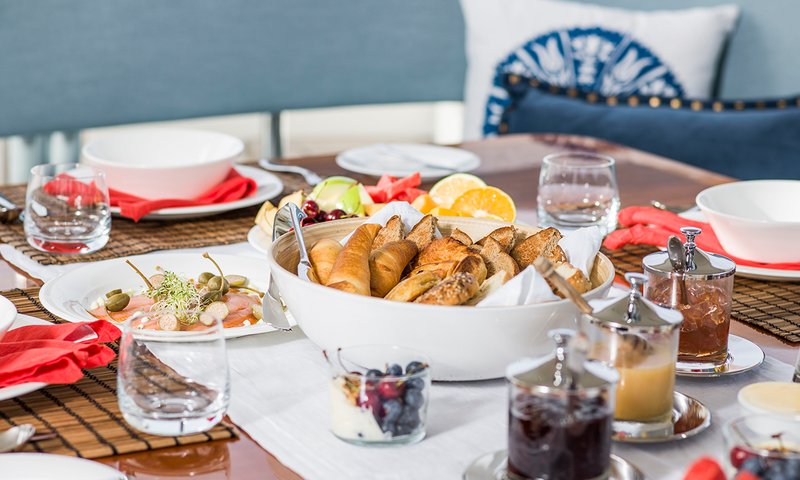 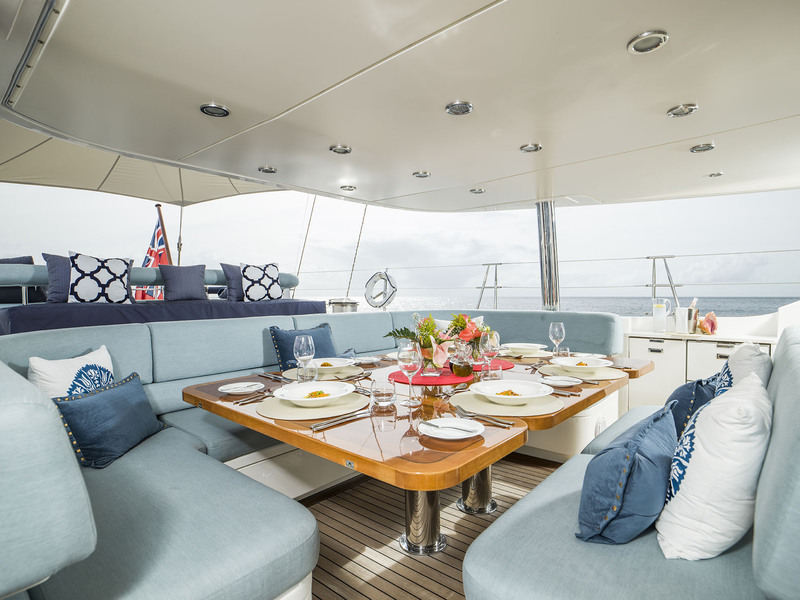 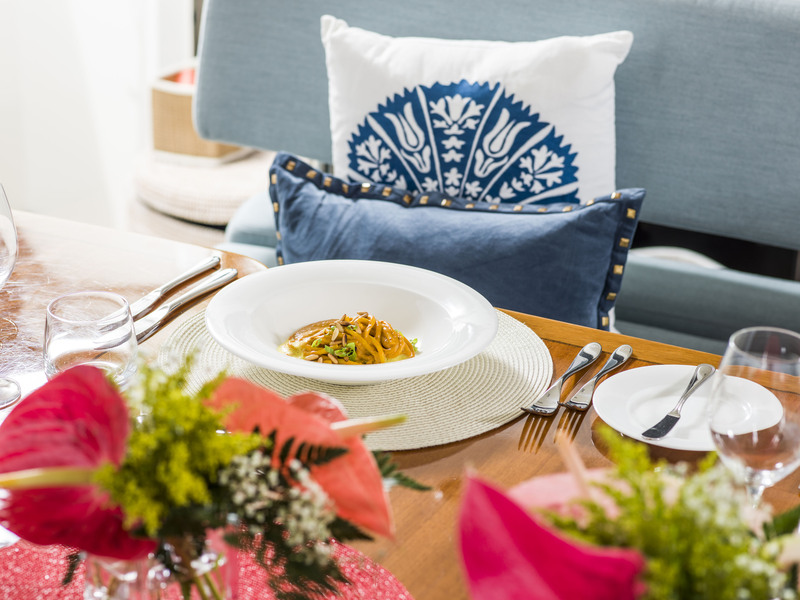 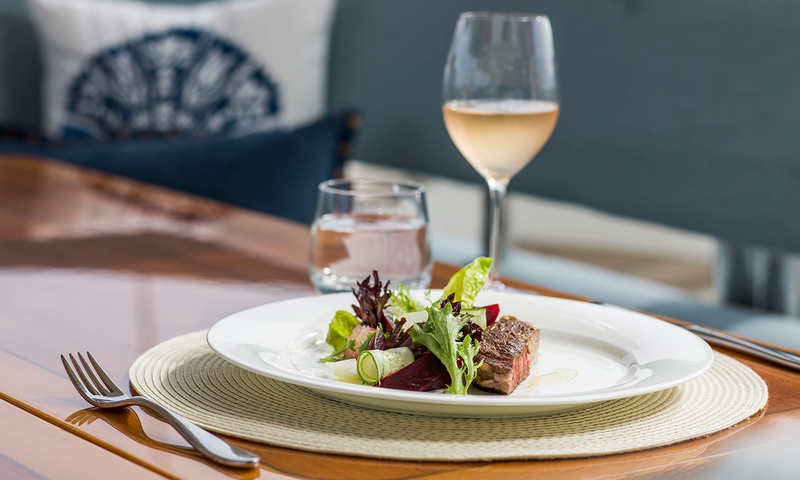 Below deck, TWILIGHT offers a vast, split-level, living area enjoying panoramic views from the upper saloon, together with an intimate lounge, and separate dining area at the lower level. 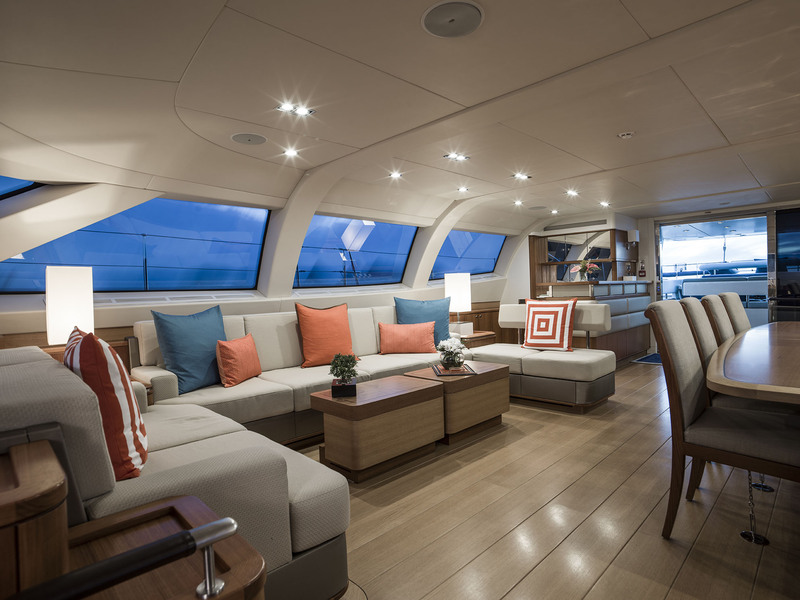 Aft of this living area are four spacious cabins, all with their own private heads and shower. 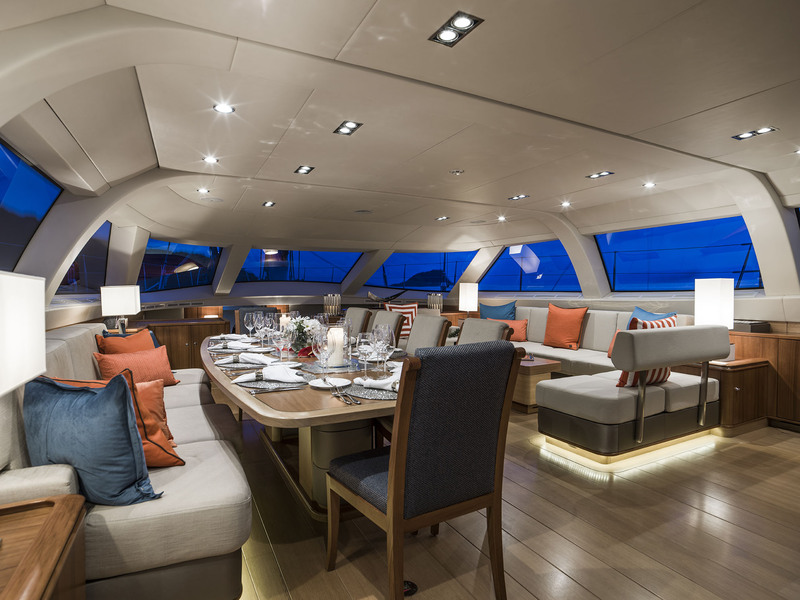 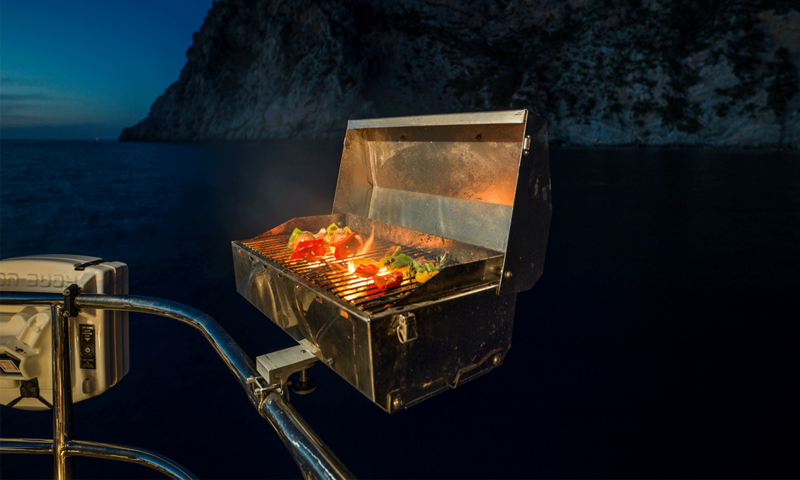 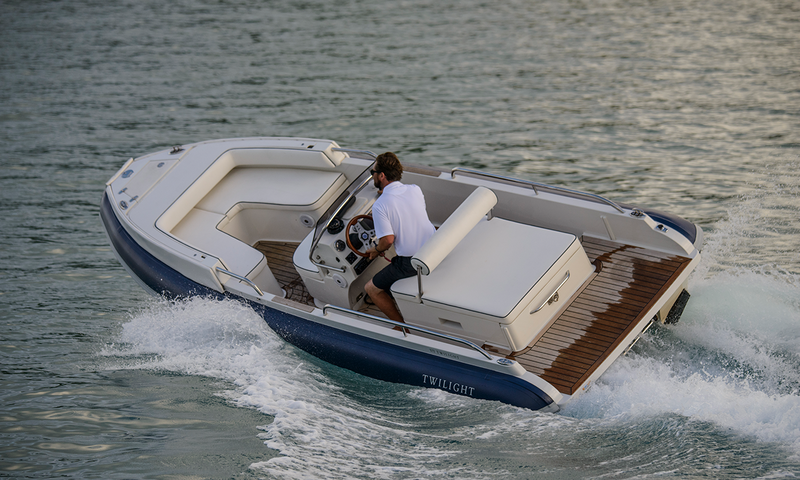 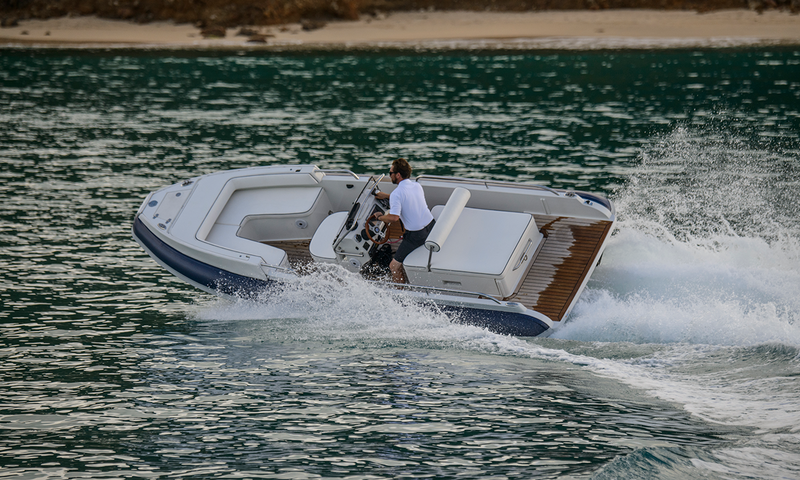 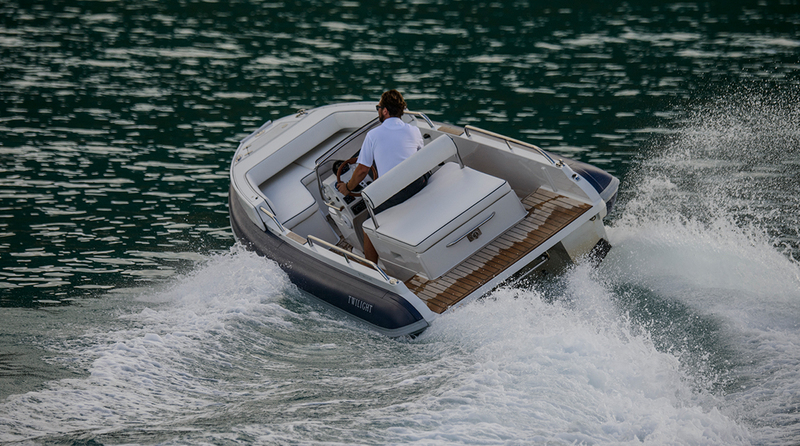 These cabins offer a far greater volume than those found within yachts of the same overall length built in aluminium, as the composite structure does not require the substantial structural hull and deck frames found in alloy construction. 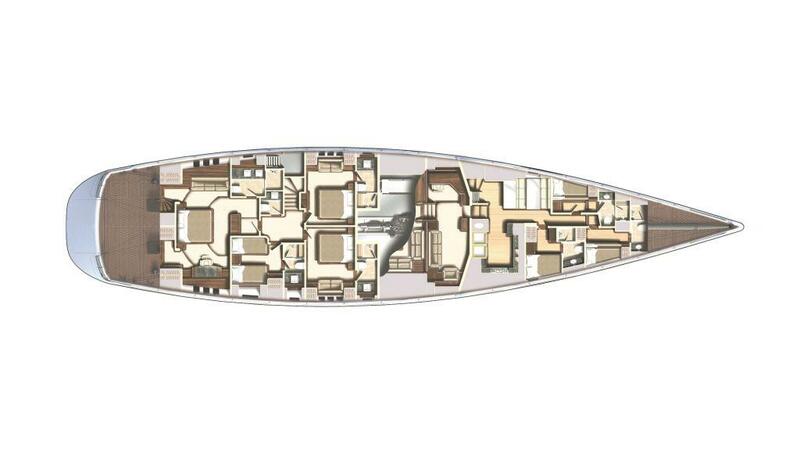 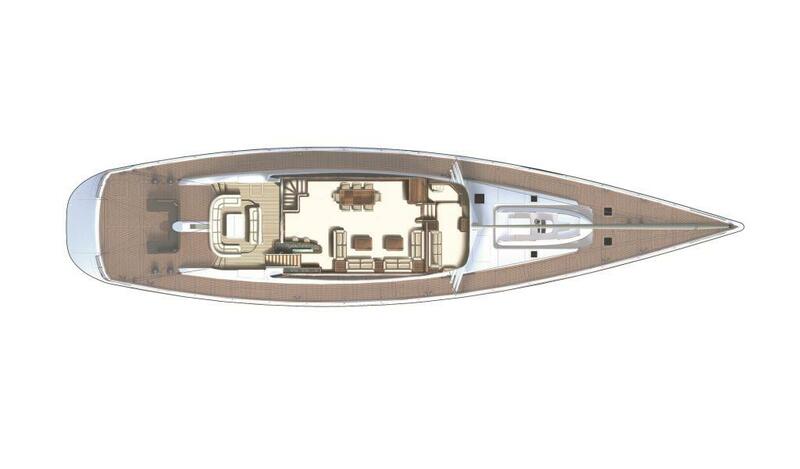 Forward of the lower saloon, separated by a privacy door, is the well-planned and fitted galley, crew mess and three crew cabins. 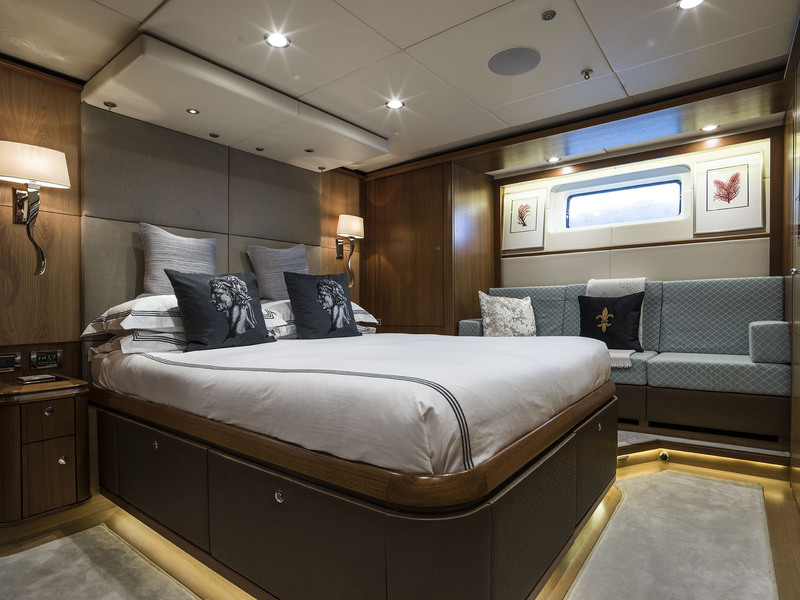 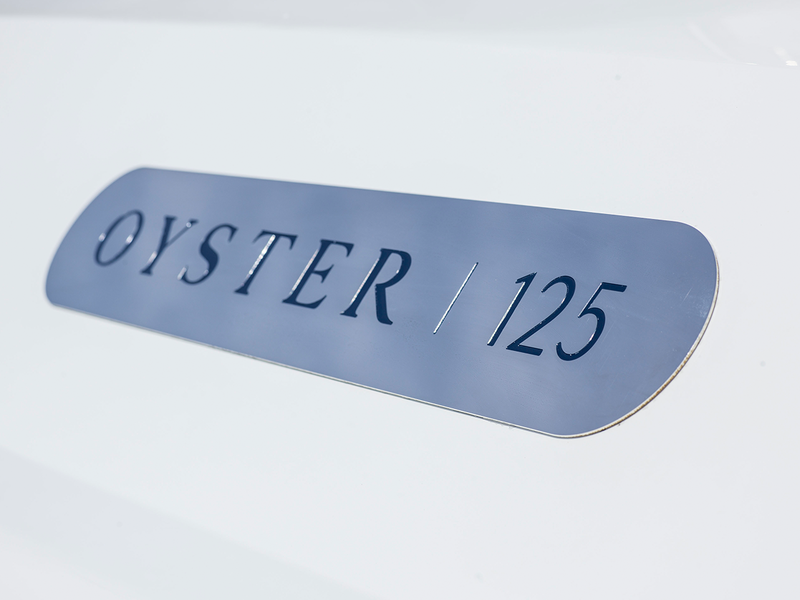 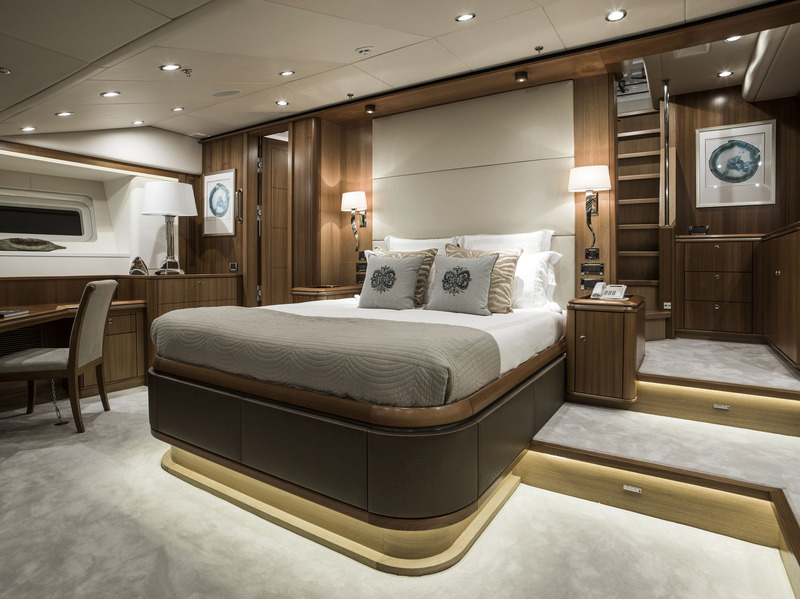 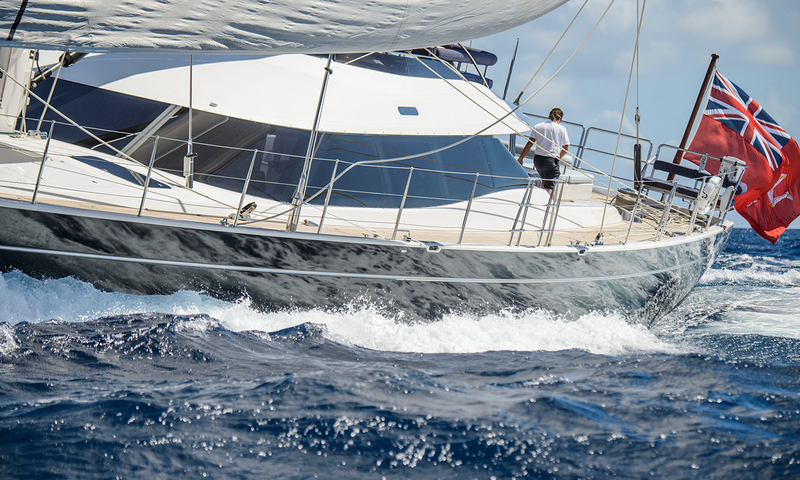 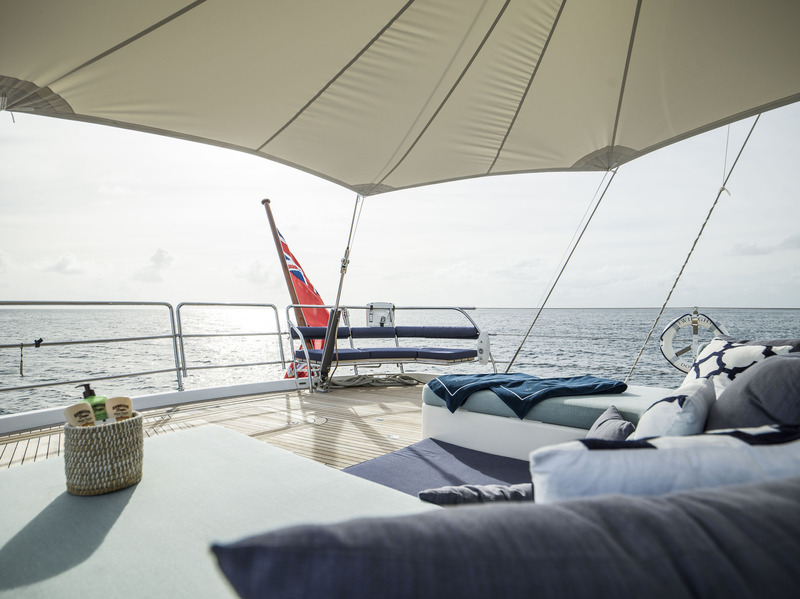 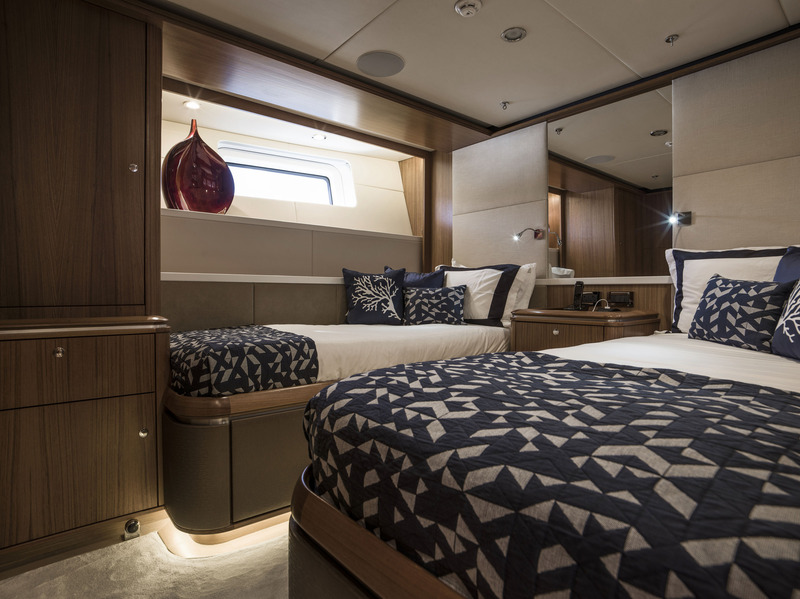 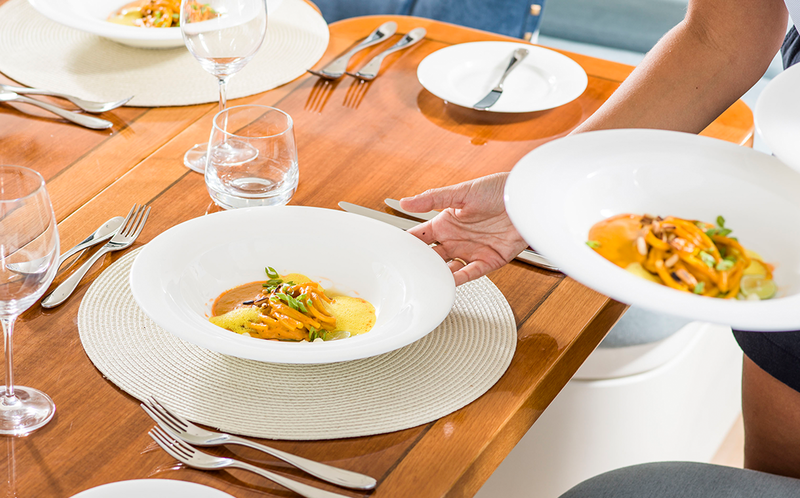 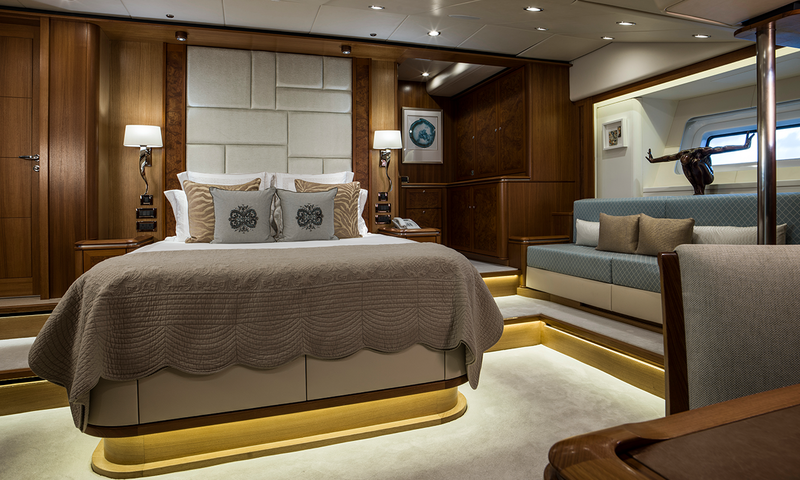 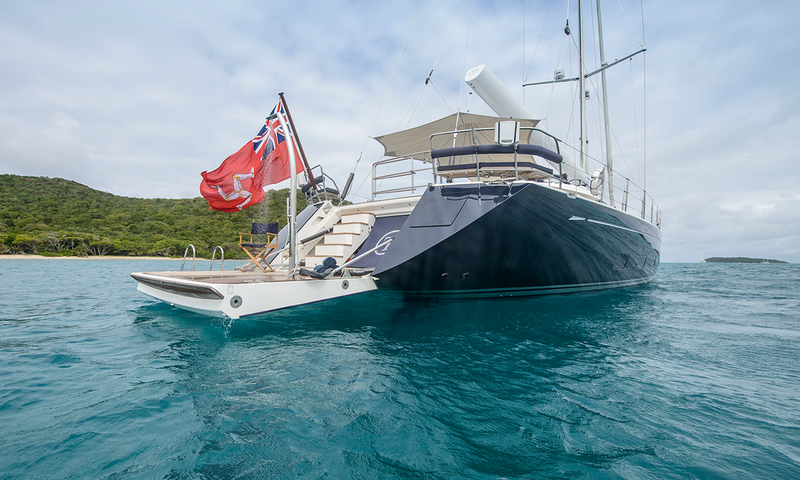 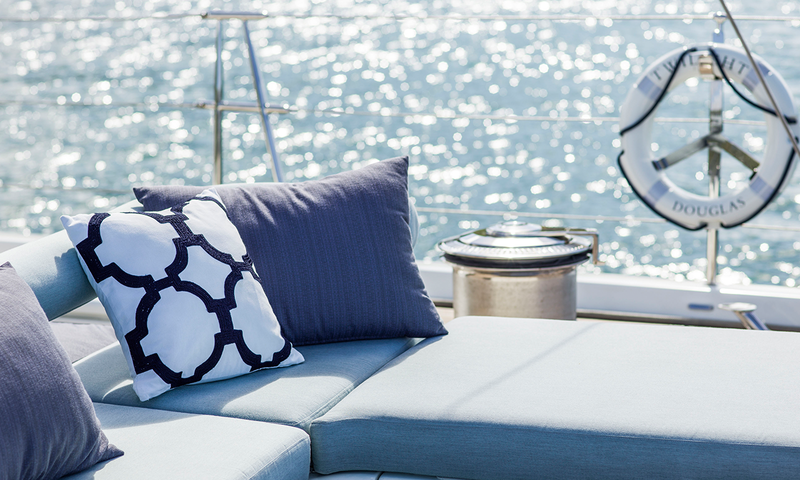 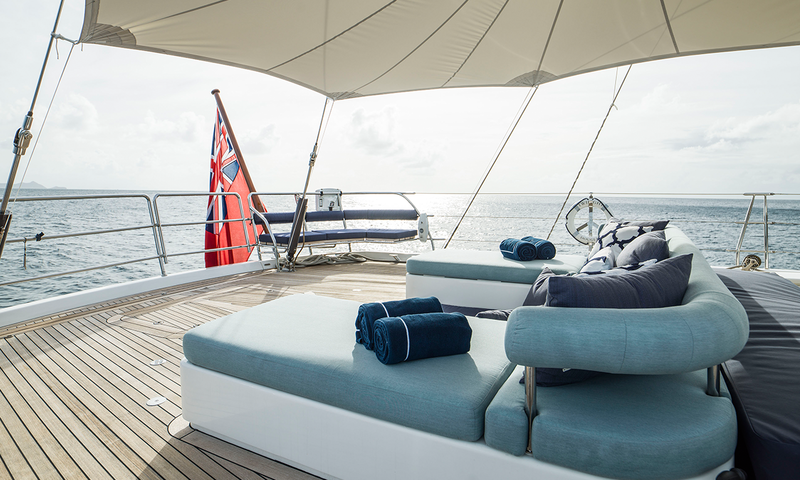 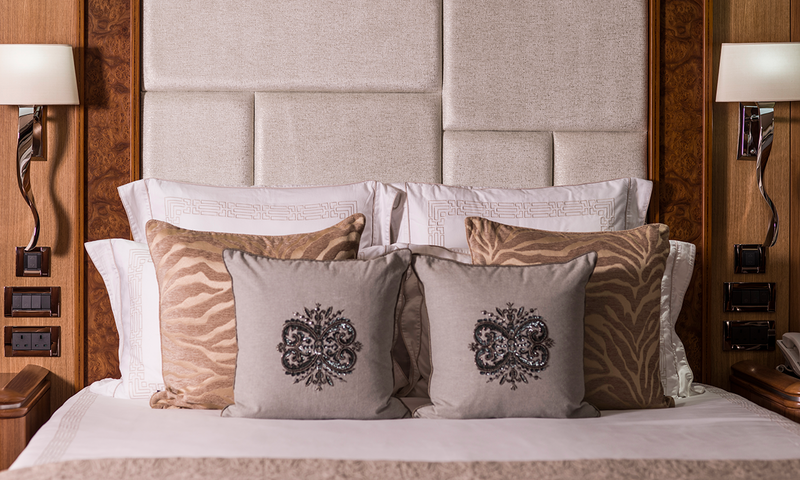 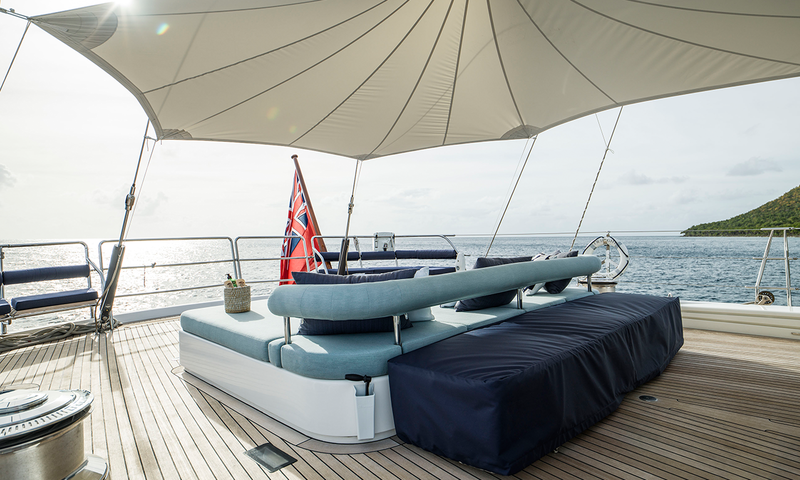 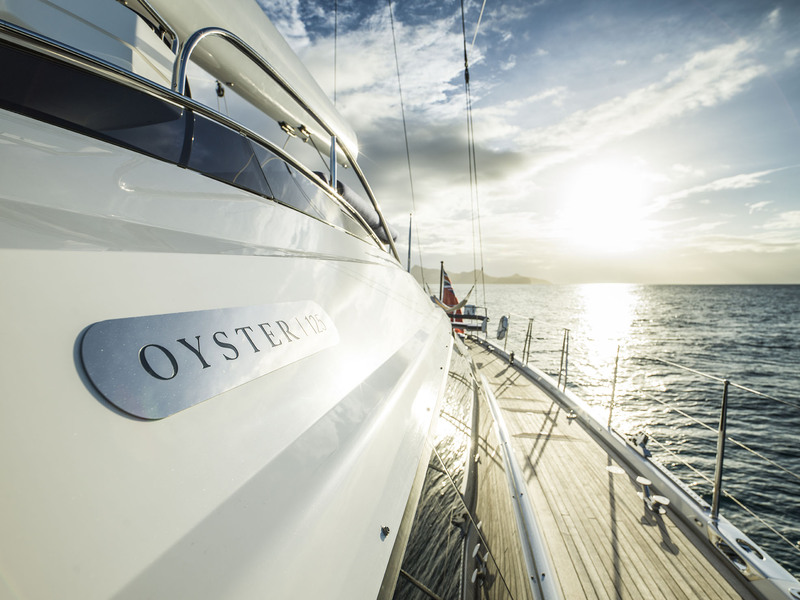 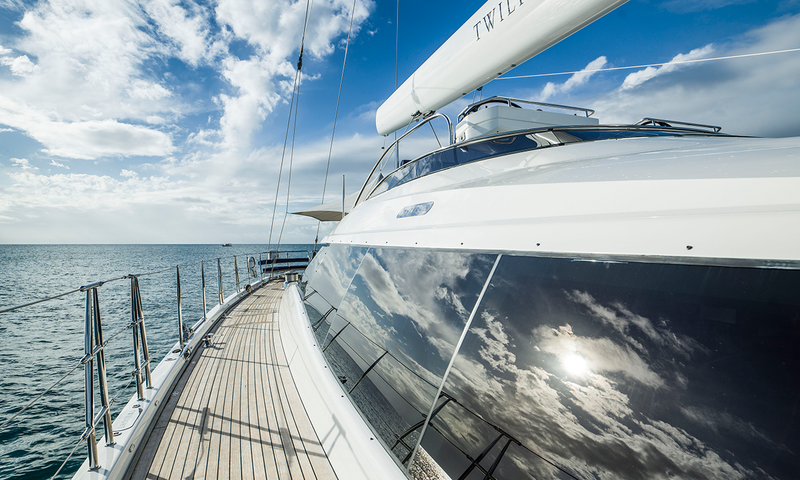 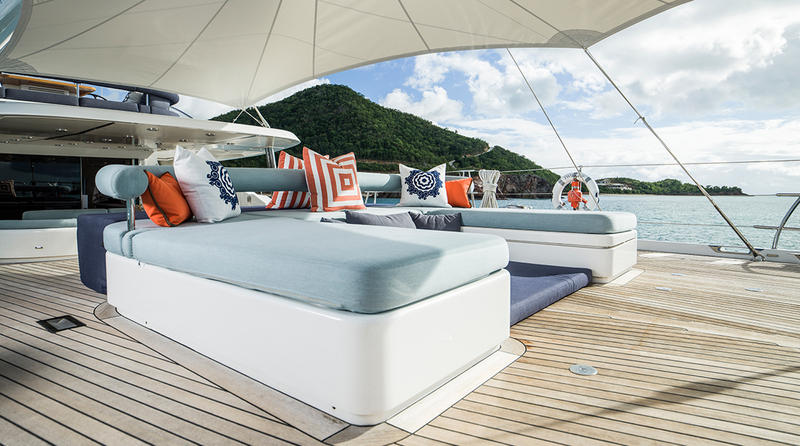 Accommodation aboard the Oyster 125 superyacht TWILIGHT is divided into 4 beautifully appointed cabins. 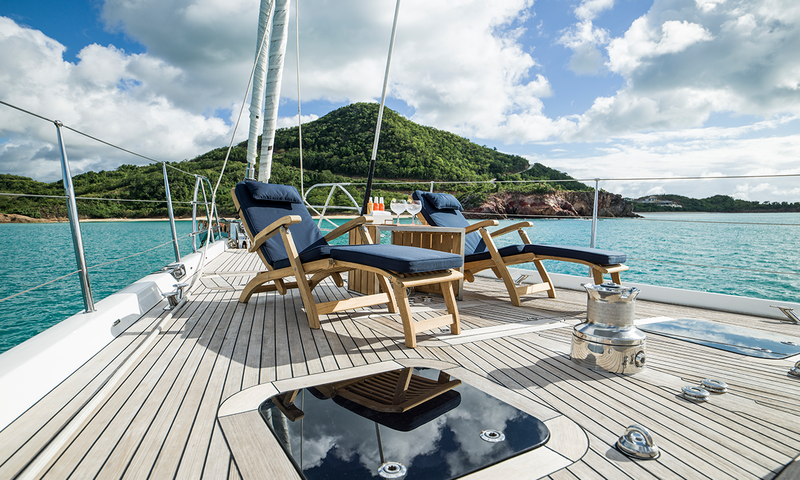 Each of these features its own private head as well as a shower. 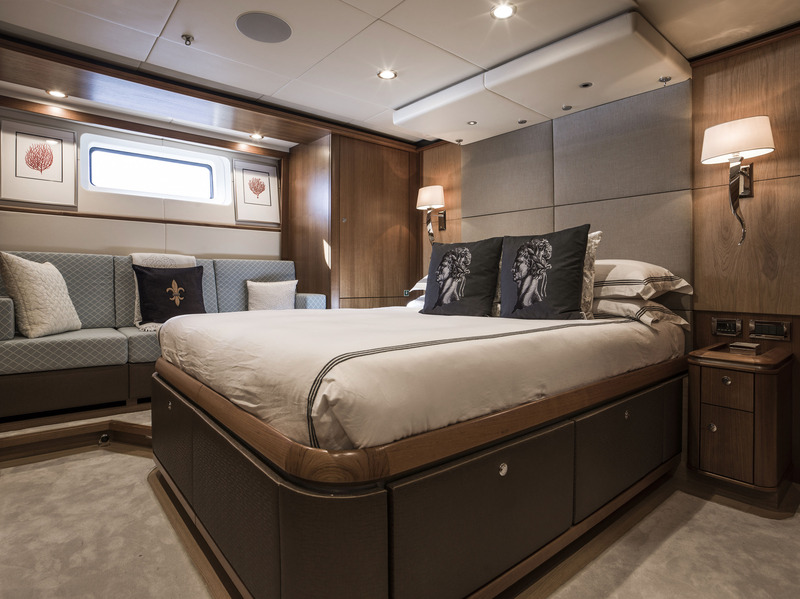 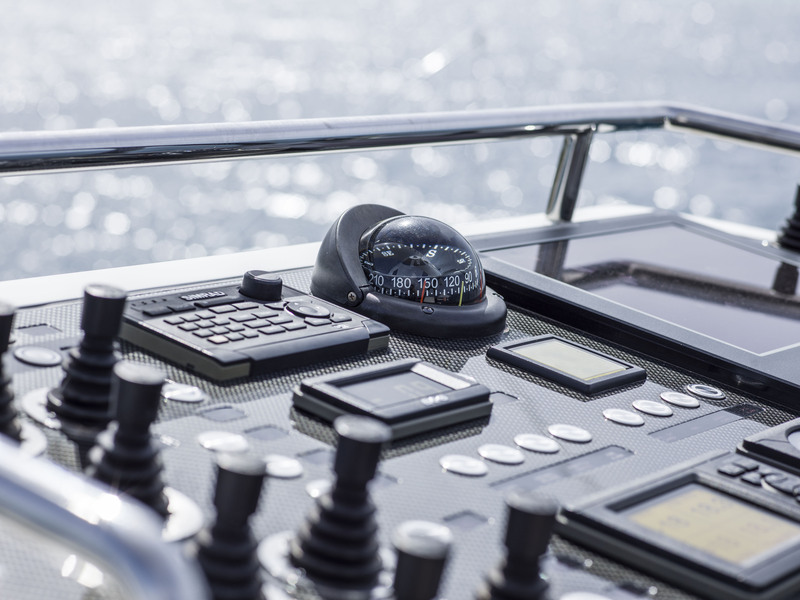 There is also space for the vessel's professional crew, sleeping in 3 crew cabins. 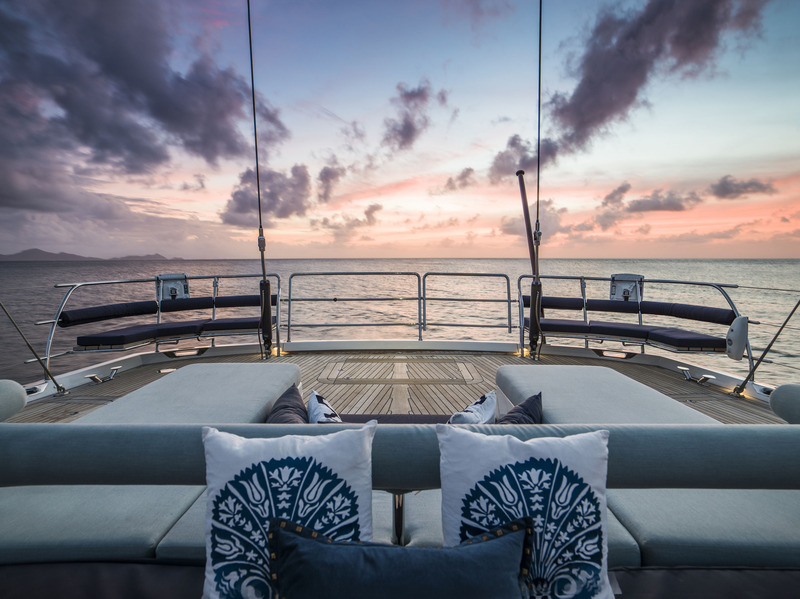 Charter yacht TWILIGHT has the following extras and amenities onboard: Tenders & Toys include a 5.7m Rib with 150hp inboard Waterskis Wakeboard 3 person tow ring snorkel gear fishing equipment x2 paddle boards Audio Visual Equipment and Deck Facilities: Full Media Entertainment systems in all cabins, upper and lower saloon with centralized Media Library. 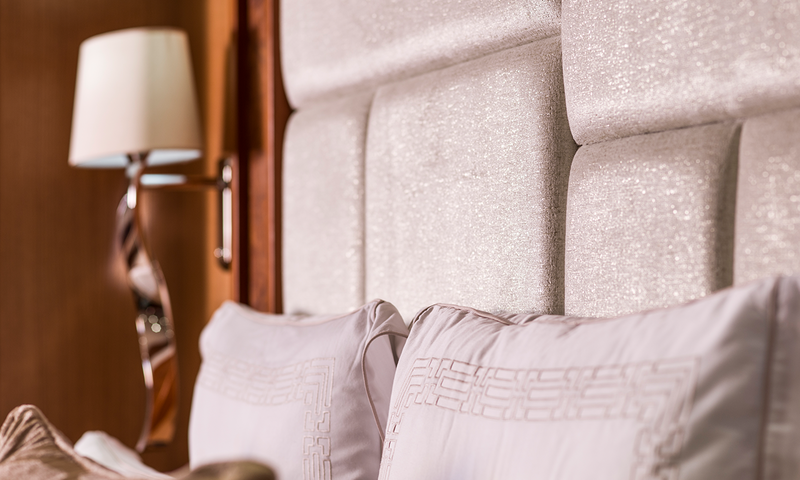 Additional AppleTV in Main Saloon. 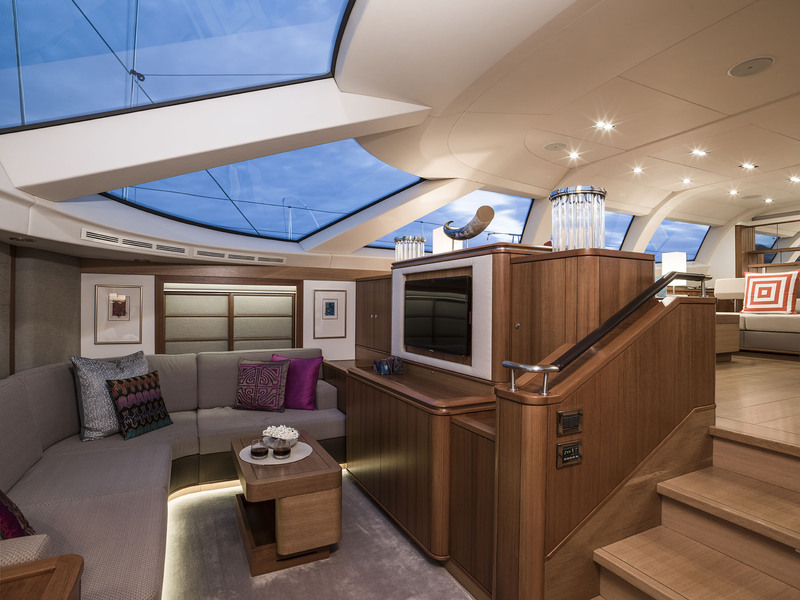 Airplay (music streaming) in Saloon, Flybridge & Lower Cockpit/Aft Deck Communications: Telephone & Fax : satellite & cellular systems. 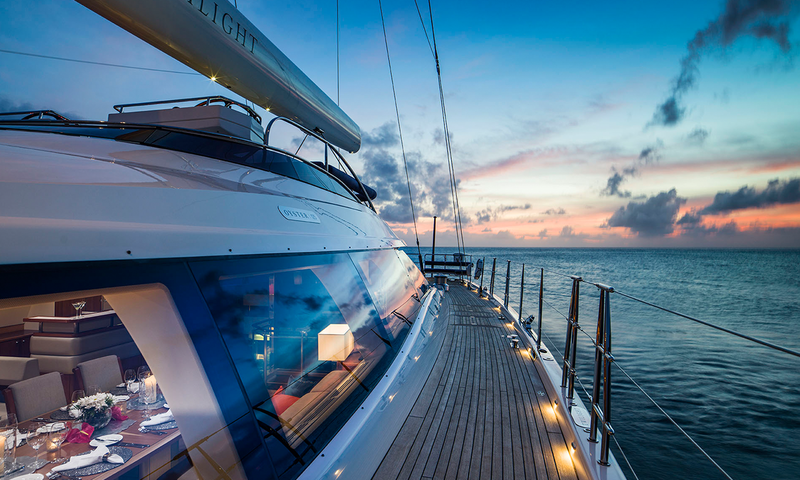 Internet connection primarily by 4G (generally effective with in sight of land) at guest cost. 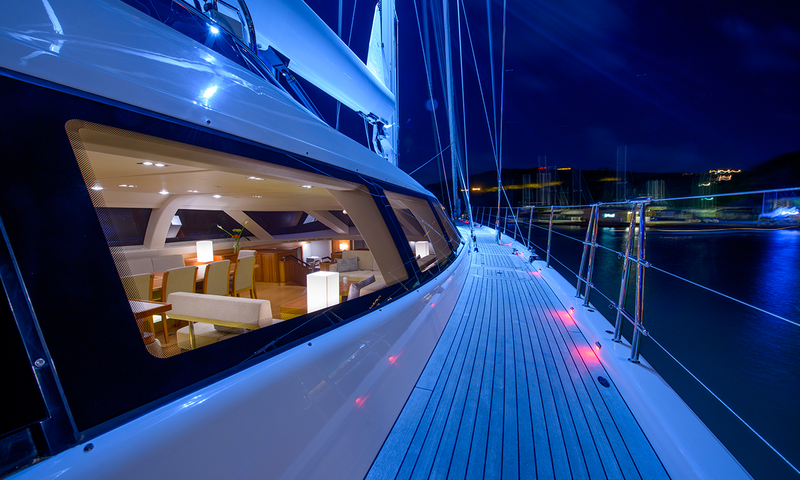 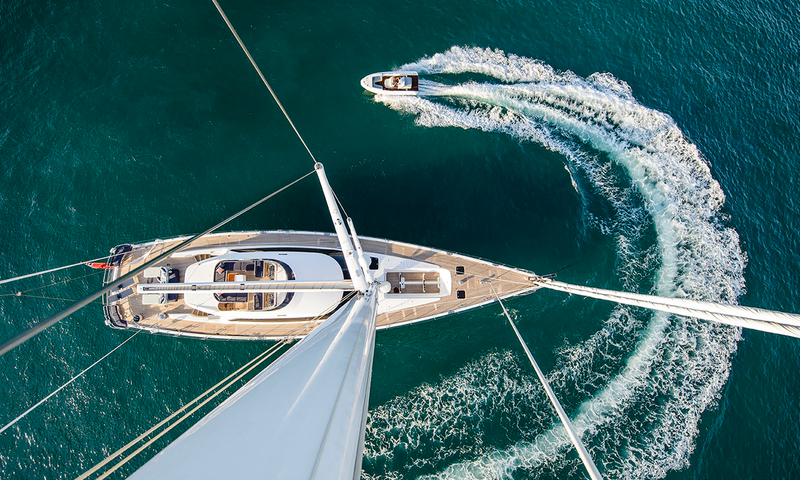 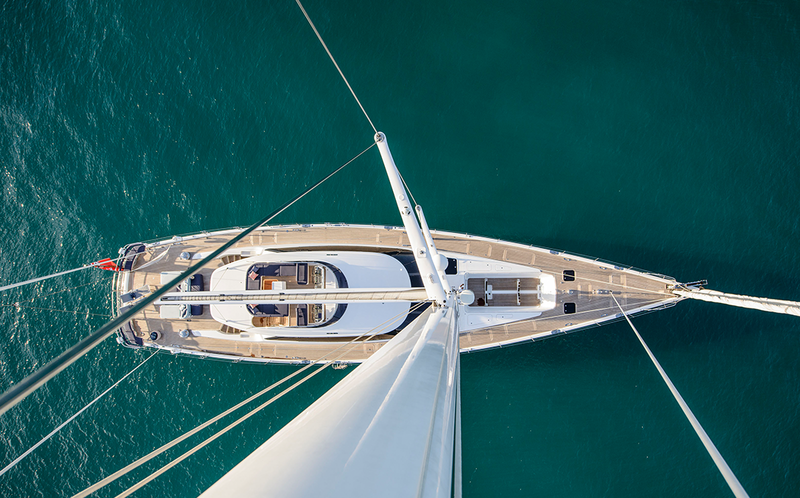 Wifi subject to availability at marinas or use of satellite connection at guests cost.